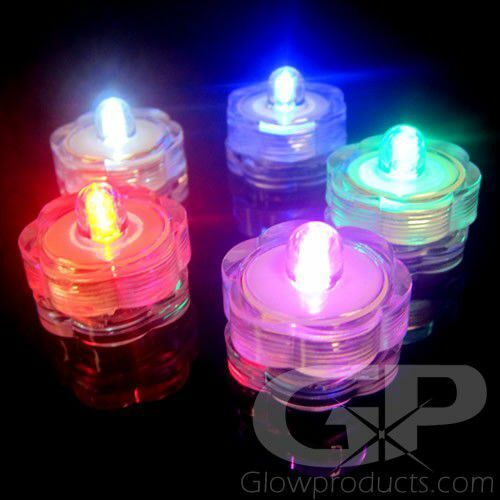 - Super Bright Submersible Tea Lights! 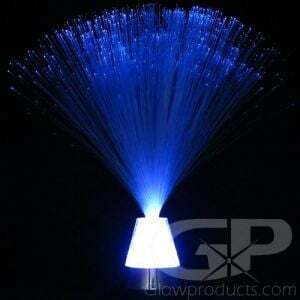 - Waterproof Floral Lights in a wide variety of colors! 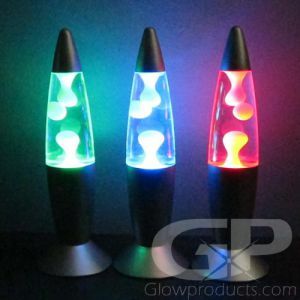 - Illuminate Vases & Tabletop Displays! 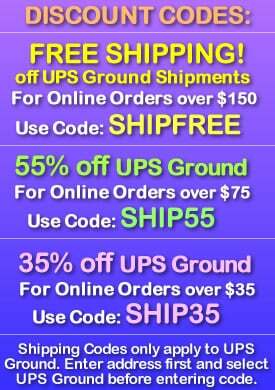 - Light Up Ice Buckets & Centerpieces! 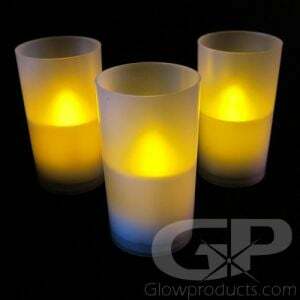 - Glowing Wedding Decorations! Special Celebrations! 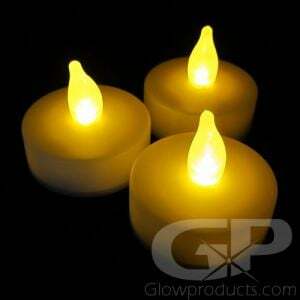 Decorative Submersible LED Tea Lights are a spectacular way to brighten up any festive party! 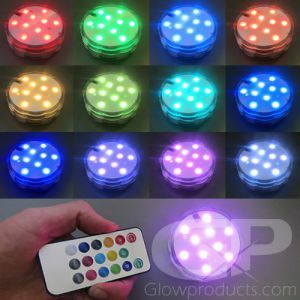 Use these bright LED water lights to light up centerpieces, floral arrangements, ice buckets and ice sculptures, vases, create glow in the dark tabletop displays and whatever else you need to make glow! 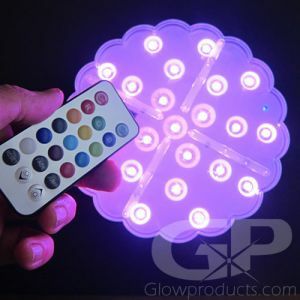 Because they're battery operated and completely waterproof, you can put the LED floral lights anywhere and into anything. 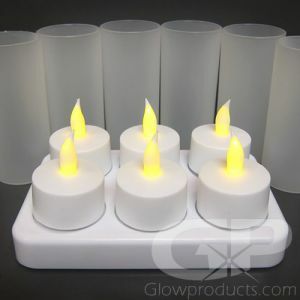 These bright LED Waterproof Tealights are reusable and the long lasting lithium batteries are included and already installed. 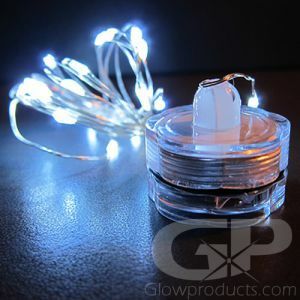 So if you need to light up your wedding, anniversary celebration, gala charity or special event check out Glowproducts.com's versatile LED submersible tea lights! First unscrew the top from the bottom of the glow in the dark submersible tealight to remove the battery protector and then screw back together. 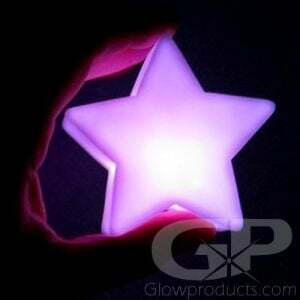 Twist the bottom of the LED floral light clockwise to turn it on. (and counter clock wise to turn it off). 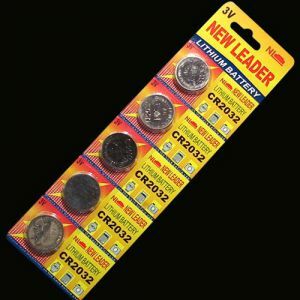 To replace the batteries, keep twisting in a clockwise motion until the unit opens to reveal the two pieces of CR2032 batteries.